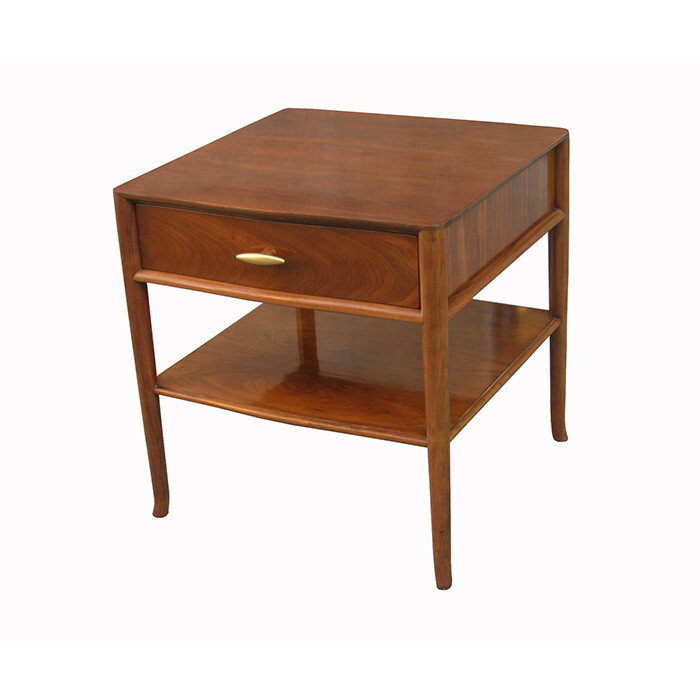 A Modernist two tier side table with single drawer. Designed by T.H.Robsjohn-Gibbings for Widdicomb. Walnut with original glazed gold porcelain pulls. Featuring the original Widdicomb labels. Dimensions: H:25 W:24 D:24 Inches.